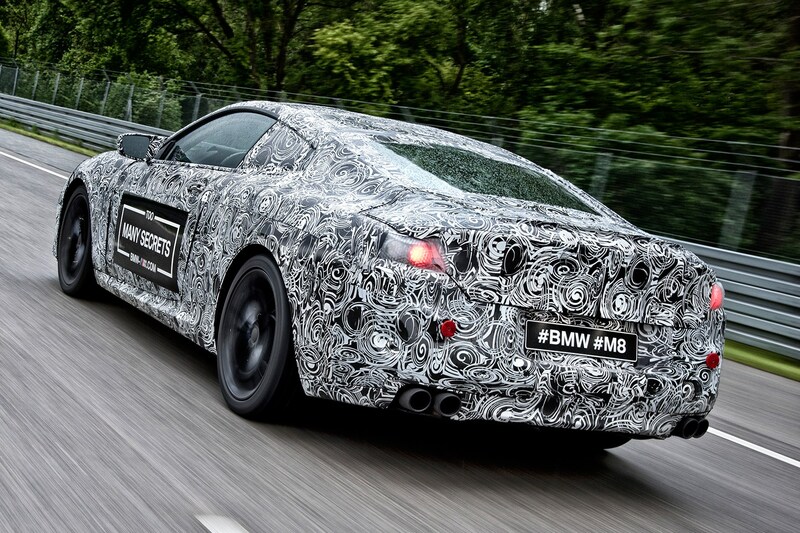 BMW's all-new M8 coupe is nearing production, with Munich drip-feeding us some new info on its hot new coupe. 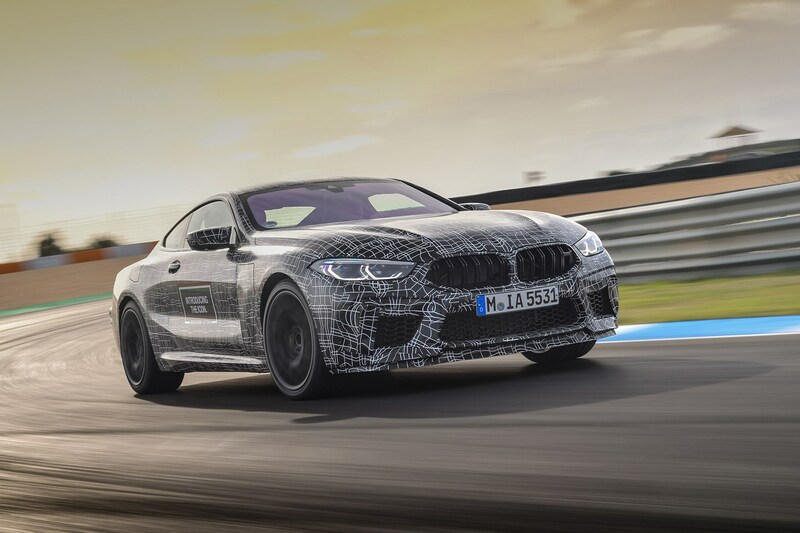 The brand confirmed that the new M8 coupe would go on sale 'in the course of 2019', with a four-door Gran Coupe and Convertible version to follow. 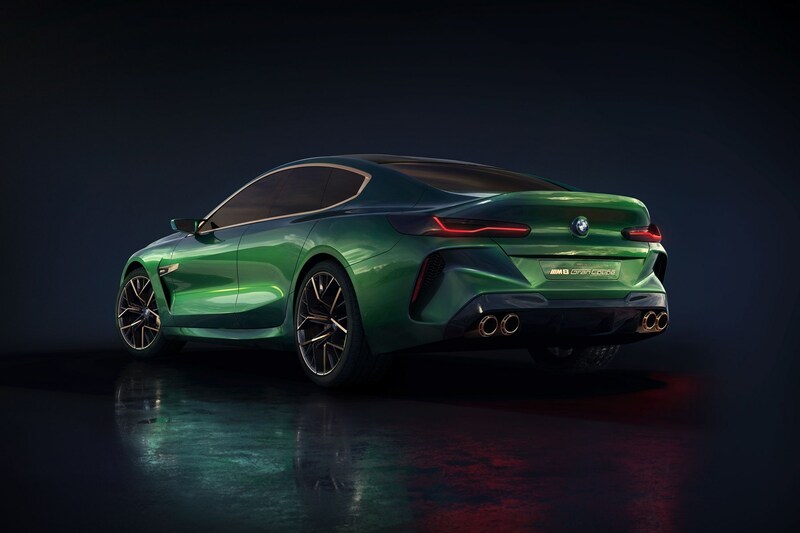 BMW has also said that the new M8 will use a 'high-revving V8' that will produce power 'north of 600hp (592bhp); basically, it'll use the same all-wheel drive powertrain as the current M5, as expected. 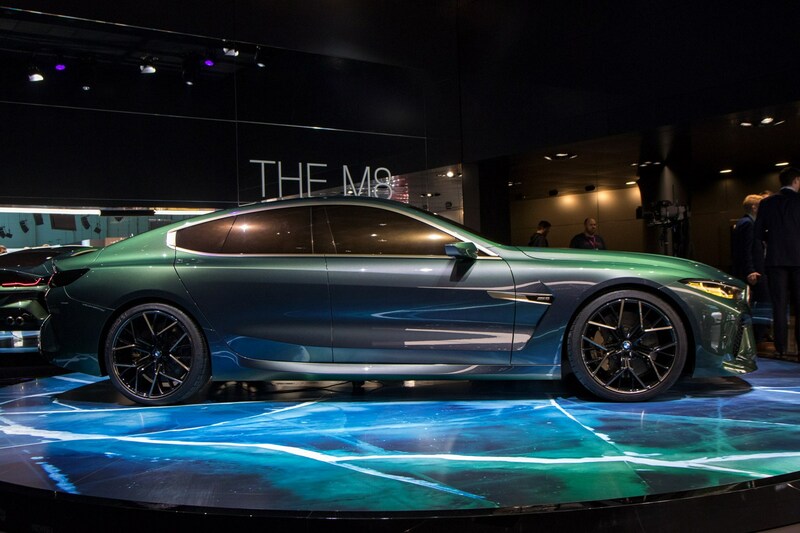 Keep reading for more info on the M8 Gran Coupe concept first revealed at the 2018 Geneva motor show. BMW's stand at the Geneva motor show rumbled to the tune of the new M8 Gran Coupe concept - a four-door super-coupaloon that'll top the 8-series range. It'll sit alongside the two-door and convertible 8-ers to complete the family. But crucially, with a kerb weight close to 1800kg, it undercuts its biggest rival - the Mercedes-AMG GT4 - by 245kg. That should pay dividends at the traffic lights and in the corners. How quick is the BMW concept M8 Gran Coupe? Early indications state a 155mph top speed, but CAR has learned that an optional performance pack can liberate a full 191mph for those all-too-tempting Autobahn duels. You'll probably want to spec the carbon-ceramic brakes too in that case... a 0-62mph time (or any other performance or economy figures) are yet to be confirmed. A carbonfibre-reinforced plastic (CFRP) roof lowers the centre of gravity, while the headlight tech is lifted from the M8 GTE endurance racer. Again, it's early days, by we're led to believe you won't get much change from £115k - and that's before options. There are going to be lesser 8-series models in the pipeline too though if that sounds a little rich - namely the straight-six 840i and V8 M850i. 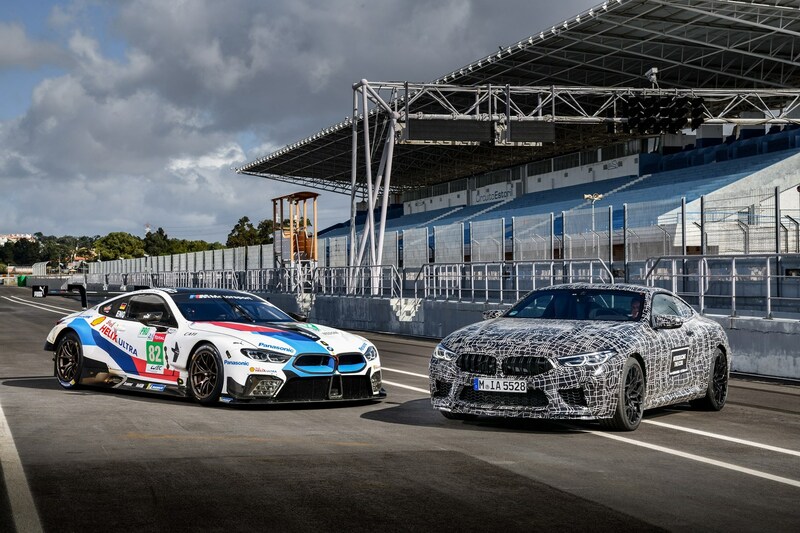 BMW says development has already begun on a racing version of the car, called the BMW M8 GTE, to compete in the GT category in international endurance racing, including the Le Mans 24 Hours. 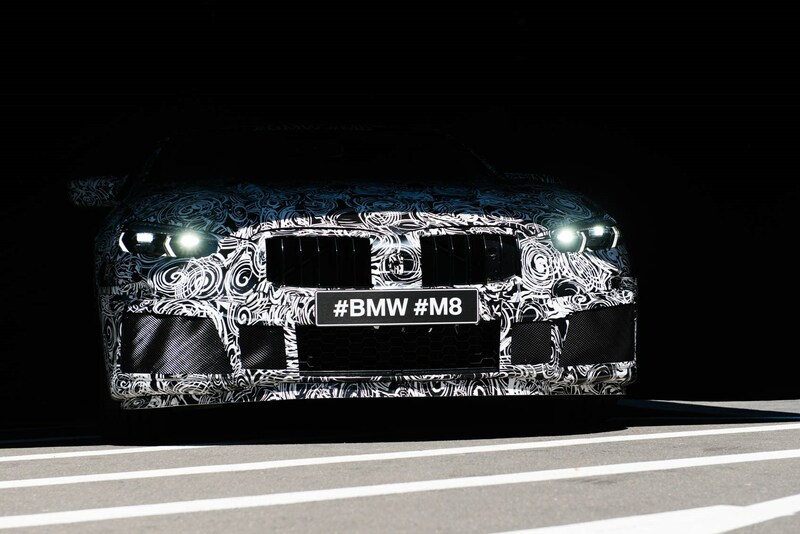 A disguised BMW M8 prototype was revealed at the 2017 Nurburgring 24hr race (27 May), with the camo’d-up car completing a demonstration lap before the start of the race. 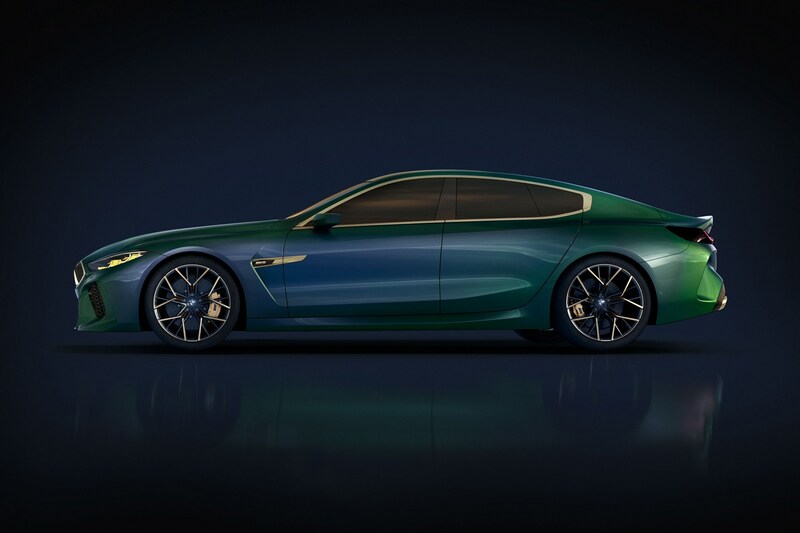 On the same weekend, BMW concurrently displayed an 8-series concept car at the Villa d’Este concours event in Italy, previewing the lines of the regular Coupe, which will replace the current BMW 6-series. 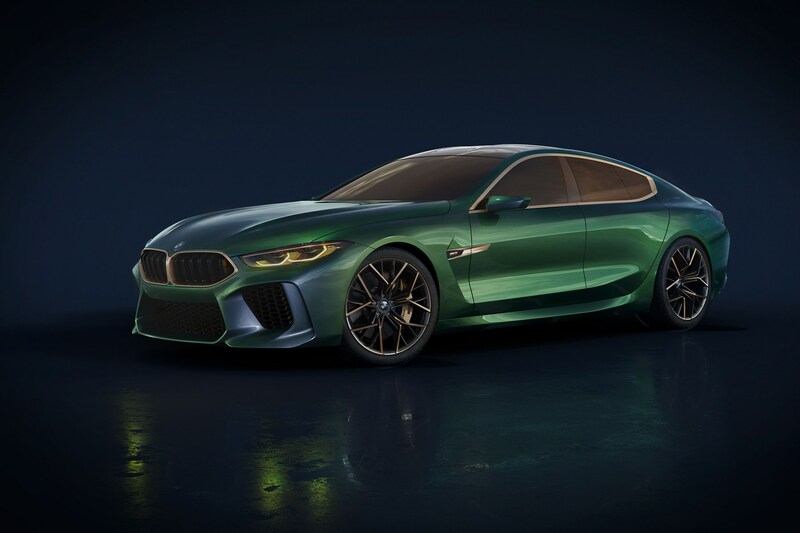 While the 8-series show car over in Italy has dramatically surfaced concept bodywork, the proportions of the disguised panels on the M8 at the Nurburgring appear much closer to production spec. 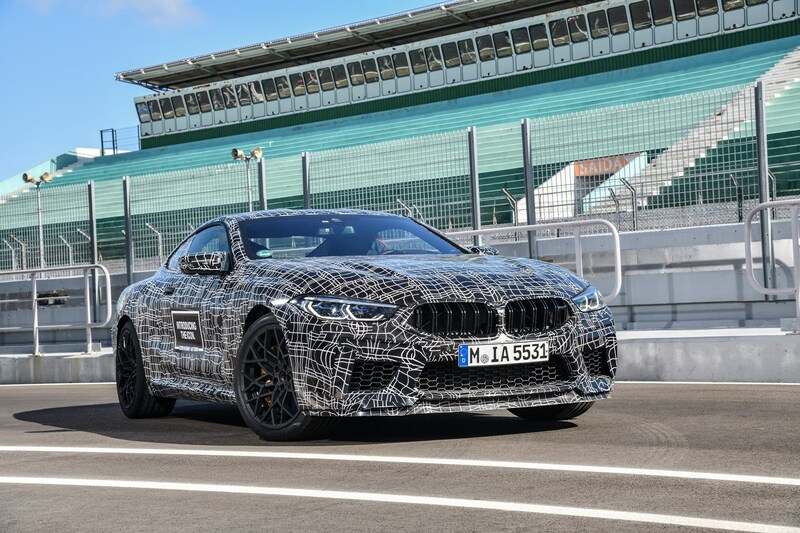 ‘The conception and development of the standard BMW 8-series and the M model run in parallel,’ says the boss of BMW’s M Division, Frank van Meel. It’ll rival the likes of the Bentley Continental GT and Porsche Panamera when it reaches the market in 2018. A quick walk around the car as it left the holding area before its lap tells us it’s very long and very wide, its quad exhaust outlets have been tuned for plenty of Guy Fawkes pops and crackles, and it’s running on Michelin Pilot Super Sport tyres. Under the extra panels and stickers, the bodywork at the rear is said to feature more complex aerodynamic surfaces than are currently visible.